Commendations are in order for anyone who makes it inside the first of A Family Affair’s double doors. Work is underway to redevelop the strip center currently housing the soul food restaurant, but in the meantime the well-worn eatery still boasts a decidedly unfriendly set of front doors. The above conversation was one I had with myself, by the way. And I’ve been to A Family Affair before. But that door gets me Every. Single. Time. I’m good at eating food, okay? I never claimed to be smart. By the way, once you’re inside, the mood changes dramatically. Welcome in, grab yourself a seat, sidle up to the line and dig in. 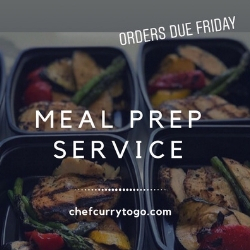 Serve yourself salads and sides. Ask for servings of meat and feel free to be specific. When you finish one plate, head back up and get another one. If A Family Affair only served catfish and nothing but catfish, I’d still go there. Fried catfish is an art. There’s good art and there’s bad art and there’s hotel/motel art clearance sales and then there’s fine art. A Family Affair’s catfish belongs in a gallery, surrounded by exceedingly rich men with esoteric glasses and women in angular clothing sipping champagne and mumbling to one another about the bold statement being made by the artist. 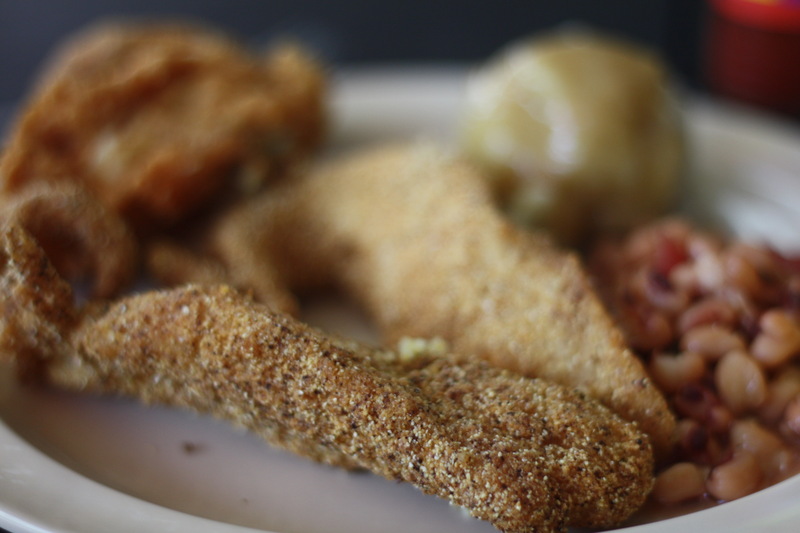 Big filets of catfish are crusted in a blend of cornmeal, salt and pepper and fried. You’ve had catfish. You get the general idea. But this crust was something special. An exceptionally well-developed coating with a lovely, uniform texture hiding big pieces of succulent, mild catfish. Put hot sauce on it if you want and watch the crust soak it up. But it doesn’t need it. The simple seasoning blend is enough to sustain you. 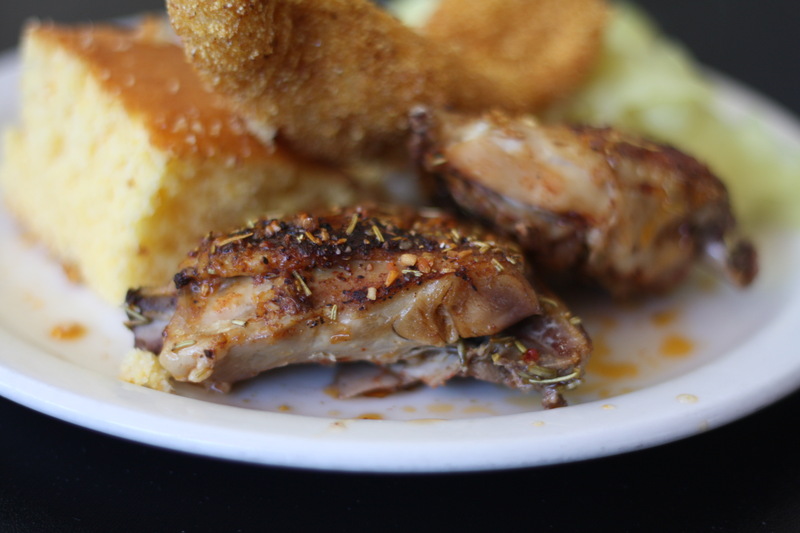 The fried chicken isn’t quite so noteworthy, but it’s still really good. I requested a wing, because my grandma taught me that the best piece of fried chicken is always the wing. The most crispy skin. The most fatty flavor. A few really good meaty bites and more can be easily stripped from the bones. Apologies to anyone who saw me eat that chicken, by the way. The smell of crunchy chicken skin sent me into a berserker rage. Like a viking or someone waiting to get into Wal-Mart on Black Friday. If you’re getting chicken, grab a scoop or two of mashed potatoes, too. Nicely seasoned and freshly mashed with the skins still in the mix, they were the right mix of creamy and homestyle with plenty of pepper. Pour on a little gravy and wolf it down in between bites of fried chicken. The green beans weren’t anything to write home about, though that’s a tough bar to clear. Seriously, imagine how good green beans would have to be to rate a letter home. The other sides are pretty great. Black-eyed peas with stewed tomatoes, greens, cabbage. My friend Krystal said the cabbage was better than her mom’s, but that she wasn’t about to tell her that. Cat’s out of the bag. Sorry, Claudine. There’s usually some kind of baked chicken, too. Peel off the skin (unless you’re a fan of non-crisp chicken skin, which I am not) and the chicken underneath is sweet and moist and delicious. The spaghetti and meat sauce was fine, but I’d recommend you save room for a second helping of catfish. 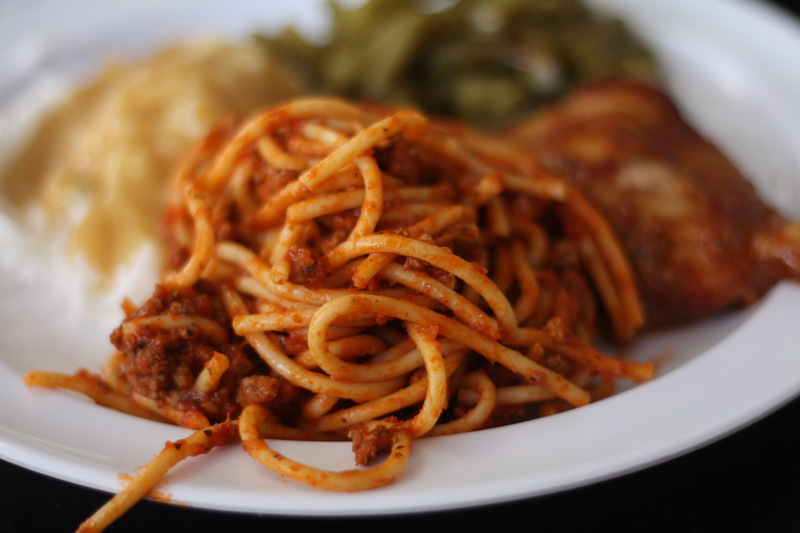 But if you do indulge, you’ll find the tomato sauce a bit sweet and plenty of ground beef among the noodles. 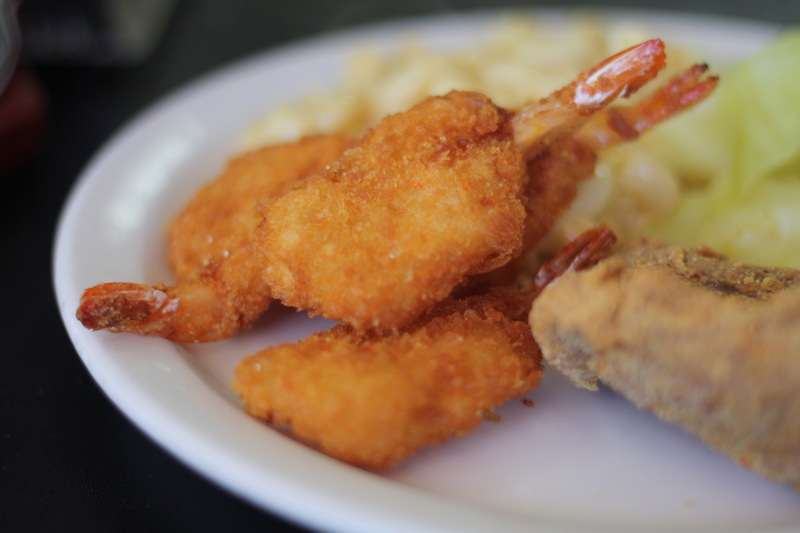 Fridays are fried shrimp days, which is a pretty good reason to wake up on Fridays. I mean, you probably have other reasons. A job? I’m not here to judge. But now you can forget about all that and concentrate on what’s important: fried shrimp. 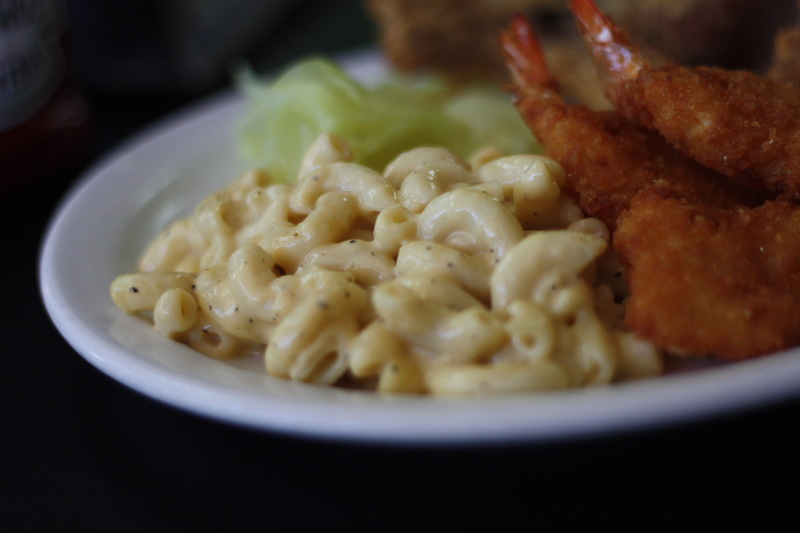 Friday is also macaroni and cheese day and, as you might guess, the macaroni and cheese here is legit. It’s creamy with lots of great seasoning and I may or may not or definitely did go back for seconds and loaded up. It’s not the cheapest food around, but it tastes way better than the price you’re paying for it would indicate. $11.99 is a good deal, especially if you go hungry. 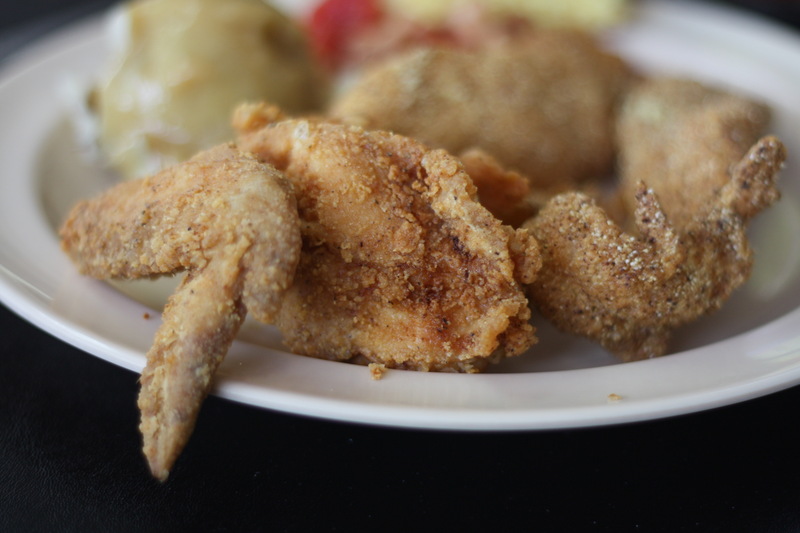 And one taste of A Family Affair’s menu will make you hungry. It’s amazing how delicious food tends to inspire our stomachs to stretch.